Draft: 2013, Cincinnati Reds, 4th rd. Full name is Edward Bennett Lively…resides in Gulf Breeze, Fla...Attended the University of Central Florida, where he was college teammates with current Royals teammate Eric Skoglund...Graduated from Gulf Breeze (Fla.) High School in 2010. Made the Opening Day roster for the first time, and went 0-1 with a 4.64 ERA (11 ER in 21.1 IP) and 21 strikeouts through his first four starts... Allowed a career-high seven runs on seven hits and four walks in 2.1 innings on April 26 vs. Arizona, and was placed on the 10-day disabled list (strained lower back) the next day...Optioned to Lehigh Valley (AAA) upon his return from the DL on May 9, and went 2-2 with a 2.44 ERA (13 ER in 48 IP) in eight starts...Placed on 7-day DL on June 23 with a right shoulder injury…made three rehab appearances with the GCL Phillies (Aug. 20-25), before being reinstated on Aug. 28...Designated for assignment on Sept. 3, and was claimed by Kansas City on Sept. 5 ...Made his Royals debut on Sept. 14 vs. Minnesota, his first of five appearances with Kansas City (all in relief), in which he went 0-1 with a 1.35 ERA (1 ER in 6.2 IP). Was T-6th among all ML rookies in quality starts (10, 5th in NL) despite starting at least 5 fewer games than all ahead of him... Began the season with Lehigh Valley (AAA) and was shuttled between there and Philadelphia all season (4 stints with PHI)... Made his ML debut on 6/3 vs SF (W, 7.0 IP, 4 H, R, ER, 3 BB, HB)... Was the first Phillies pitcher with at least 7.0 IP and a hit at the plate in his debut since 1972 (Dave Downs)... Tossed 7.0 innings and allowed 3 runs or fewer in each of his first 3 career starts, becoming the first Phillie to do so since 1969 (Bill Champion)... Yielded only 4 HR in his first 8 starts (48.2 IP), including a 17.1-inning homerless streak, 6/30-8/26... Hit his first career HR, 6/24 at ARI, becoming the first Phillies pitcher to homer since 5/10/15 (Chad Billingsley) and the fi rst Phillies rookie pitcher to homer since 8/23/95 (Tyler Green)... Homered again, 9/5 at NYM, becoming the first Phillies pitcher to hit 2 HR in a season since 2011 (Cliff Lee), and the first with a HR and 4 RBI in a game since 6/2/02 (Robert Person)... Was the fi rst Phillies pitcher since 1993 with 3 multi-RBI games in a season (Tommy Greene)... His 8 RBI were the most by a Phillies pitcher since 2004 (Randy Wolf, 8) and he did so in 10 fewer games... Tossed his first career CG (8.0 IP) on 9/10 at WSH, the only one by a Phillie in 2017. Spent the entire season with Reading... Named Phillies Minor League Pitcher of the Week and Eastern League Pitcher of the Week, 4/27-5/4... T-1st among Phillies minor leaguers in starts and T-2nd in innings... Ranked 8th in the EL in strikeouts... Was on the 7-day DL, 8/12-26 (right shoulder strain). Named CIN's Minor League Player of the Year (13-7, 3.04 ERA)... Led all CIN minor leaguers and was T-2nd in Minor League Baseball in SO (171)... Began the season with Bakersfield (A)... Was named a California League midseason All-Star... Twice named CL Pitcher of the Week: 4/15-21 and 4/22-28... Had a 30.0-inning scoreless streak, 4/6-5/2... Went 5-0, 0.31 ERA (1 ER, 29.0 IP) while posting a 40.00 SO/BB ratio (40 SO, 1 BB) over 5 starts in April... Held RHH to a .167 AVG (28-168)... Had back-to-back 10-SO games, 4/16 & 4/22... Promoted to Pensacola (AA) on 6/18 for remainder of season where he allowed 3 ER or fewer in 11 of his 13 starts... Hit his first professional HR on 8/19 at Jacksonville... Following the season, was named the 6th-best prospect in the Phillies minor league system by Baseball America. Made his pro debut with Billings (R)... Named a Pioneer League All-Star and Pitcher of the Week, 8/12-19... Transferred to Dayton (A) on 8/27 and made 1 start... Following the season, was named the 9th-best prospect in CIN's minor league system by Baseball America. March 10, 2019 Kansas City Royals optioned RHP Ben Lively to Omaha Storm Chasers. September 5, 2018 Kansas City Royals claimed RHP Ben Lively off waivers from Philadelphia Phillies. September 3, 2018 Philadelphia Phillies designated RHP Ben Lively for assignment. August 28, 2018 Lehigh Valley IronPigs activated RHP Ben Lively from the 7-day disabled list. August 22, 2018 Lehigh Valley IronPigs sent RHP Ben Lively on a rehab assignment to GCL Phillies East. August 20, 2018 Lehigh Valley IronPigs sent RHP Ben Lively on a rehab assignment to GCL Phillies West. June 25, 2018 Lehigh Valley IronPigs placed RHP Ben Lively on the 7-day disabled list retroactive to June 23, 2018. Right shoulder sprain. May 10, 2018 Philadelphia Phillies optioned RHP Ben Lively to Lehigh Valley IronPigs. April 27, 2018 Ben Lively roster status changed by Philadelphia Phillies. August 20, 2017 Philadelphia Phillies recalled RHP Ben Lively from Lehigh Valley IronPigs. July 9, 2017 Philadelphia Phillies optioned RHP Ben Lively to Lehigh Valley IronPigs. June 3, 2017 Philadelphia Phillies recalled Ben Lively from Lehigh Valley IronPigs. May 15, 2017 Philadelphia Phillies optioned RHP Ben Lively to Lehigh Valley IronPigs. May 14, 2017 Philadelphia Phillies recalled Ben Lively from Lehigh Valley IronPigs. April 21, 2017 Philadelphia Phillies optioned RHP Ben Lively to Lehigh Valley IronPigs. April 19, 2017 Philadelphia Phillies recalled RHP Ben Lively from Lehigh Valley IronPigs. March 17, 2017 Philadelphia Phillies optioned RHP Ben Lively to Lehigh Valley IronPigs. November 18, 2016 Philadelphia Phillies selected the contract of Ben Lively from Lehigh Valley IronPigs. May 27, 2016 RHP Ben Lively assigned to Lehigh Valley IronPigs from Reading Fightin Phils. March 4, 2016 RHP Ben Lively assigned to Philadelphia Phillies. August 27, 2015 Reading Fightin Phils activated RHP Ben Lively from the 7-day disabled list. August 12, 2015 Reading Fightin Phils placed RHP Ben Lively on the 7-day disabled list. December 31, 2014 Philadelphia Phillies traded LF Marlon Byrd and cash to Cincinnati Reds for RHP Ben Lively. December 31, 2014 RHP Ben Lively assigned to Reading Fightin Phils. June 18, 2014 RHP Ben Lively assigned to Pensacola Blue Wahoos from Bakersfield Blaze. April 3, 2014 RHP Ben Lively assigned to Bakersfield Blaze from Dayton Dragons. August 27, 2013 RHP Ben Lively assigned to Dayton Dragons from Billings Mustangs. June 20, 2013 Ben Lively assigned to Billings Mustangs. 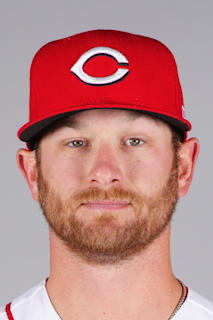 June 11, 2013 Cincinnati Reds signed Ben Lively.